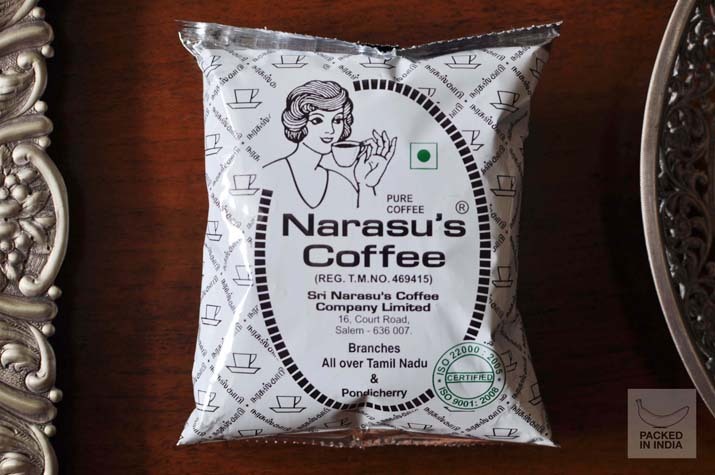 Narasu makes good old fashioned South Indian coffee poddi and they also have 100% pure coffee that comes in a neat dark brown and white pack. Pii loves the Princess Diana look-alike sipping coffee with her pinky pointing out. 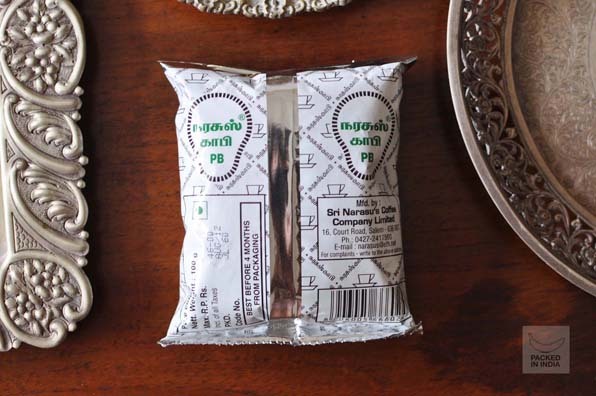 Also appreciated – The Tamil font used as a design element all over the pack. And the neatest illustration of a cup and saucer. Definitely not clipart. Available: In every store in Salem (Tamil Nadu) and in select department stores in South India. It’s the vintage green, chocolate brown and white combo that had me flat. 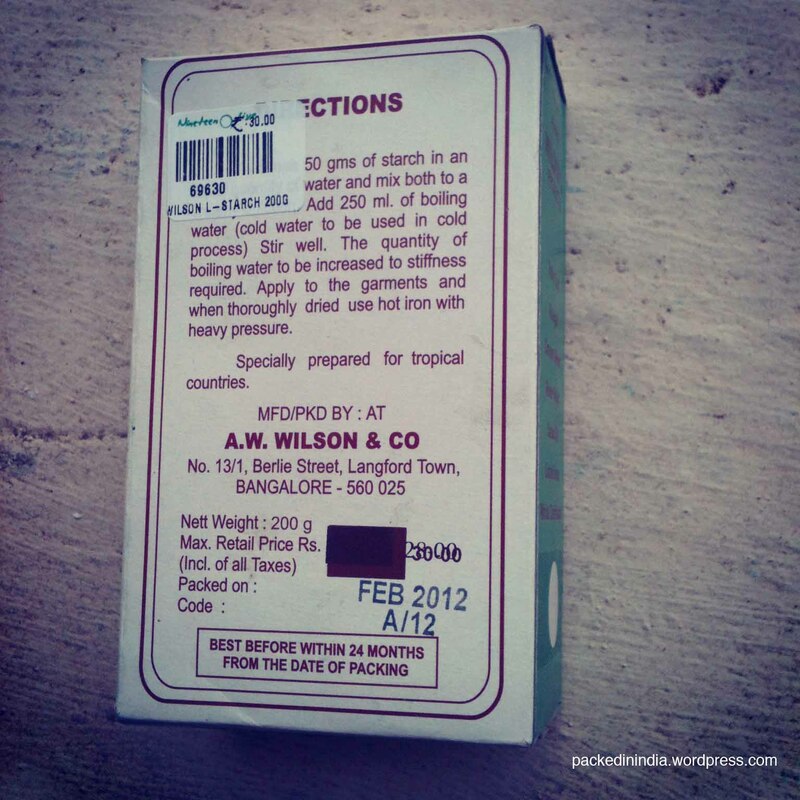 That, and the fact, that this is packed and manufactured in a very Anglo-Indian part of Bangalore – Langford Town. 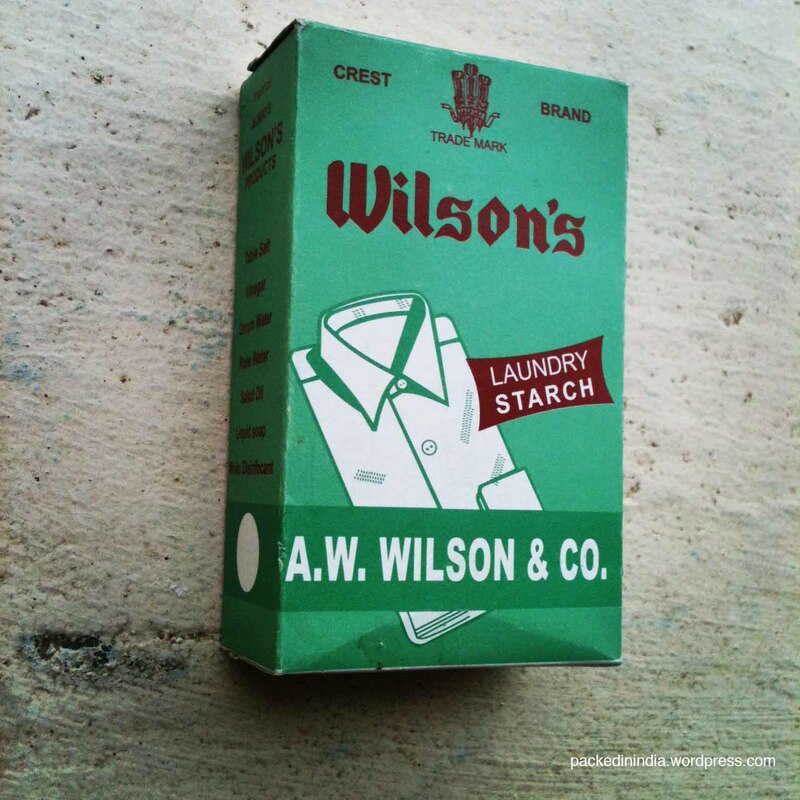 Showing a neatly starched, crisp white shirt on the cover ensures the bais know what this is used for. The powder within is held in a thin plastic pouch, ensuring reusability without too much fuss. The packaging is thin cardboard and looks like it’ll melt into the ground the minute it’s discarded. Friendly. Available: At Nilgiris, Brigade Road, Bangalore.